The term “cryptocurrency” may sound a bit scary or seem difficult to understand, but it does not have to be confusing. Listed here, you will find some comparative information about cryptocurrency and other forms of monetary payment. What exactly does this mean? The first concept that we are going to compare cryptocurrency to is tokens. There are many businesses that create their own type of currency to be used exclusively in their stores. A prime example of this concept is an arcade. Consumers come in, exchange real money for the equivalent in arcade tokens. The tokens are then used to play the games. Another great example is a manual car wash. Consumers have the option of purchasing tokens that can then be used to operate the car wash tools and to buy car cleaning products. There are many other types of businesses that use tokens, but the concept remains the same across the board. Cryptocurrency is incredibly similar to tokens in that you use “regular” currency to purchase digital currency that can then be used to buy good or services in specific places. 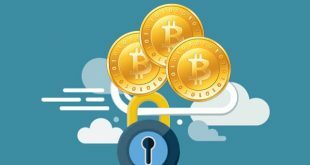 Moving on from the token analogy, there are several other concepts that bare similarities to cryptocurrency. There are three main comparisons that we will take a look at. These concepts are stocks, credit/debit cards, and casino chips. Consider this last concept, casino chips. They are incredibly similar to a token, they can be thought of as essentially the same thing. A consumer goes into a casino. exchanges physical currency for the amount equivalent in that casino’s chips. That consumer then takes the chips to the various games and places bets with their newly acquired chips. At the end of the consumers stay at the casino, they will take any chips that they have won or simply have left and exchange them once again for the amount equivalent in physical currency. Essentially, the same is done with one exception. Generally, cryptocurrency cannot be turned back into physical currency. Now, consider stocks. You invest a specified amount of money into a stock and then sit back and hope it goes up in value. If or when it does go up you will decide whether to keep it and hope it goes up more, or sell it and make a profit. The same is often done with cryptocurrency, a person will buy a specified amount and then wait for the value to increase. Once someone is found that will pay more for the share of cryptocurrency, they sell it for a profit. Like stocks you might find crypto to have similar traits as well as companies that support cryptocurency operations, for example, an exchange or even a crypto currency hedge fund. A hedge fund is defined as a “limited partnership of investors using high-risk methods in an attempt to realize large capital gains”. There are many cryptocurrency hedge funds already active. If this is what you are looking for, the best thing to do is head over to your favorite search engine and perform a basic search. There is an endless list of possible word combinations that you may use in your search. However, be sure to include words and phrases such as “cryptocurrency”, “hedge fund”, “near me”, and/or “local”, “best”. Finally, consider credit and debit cards. In the instance of a debit card, you put currency into an account and then by means of swiping the card in-store or using the card numbers online the currency goes out of the account without ever having to handle physical coins or bills. Cryptocurrency is the same in that it is entirely digital, you do not have to handle physical currency to pay for goods and services. Now that you have a better understanding of what cryptocurrency is, it is time to compare and contrast with other types of currency. The biggest difference in cryptocurrency versus other currency is that all other recognized currencies revolve around a centralized system such as a bank whereas current cryptocurrencies (thanks to the creator of Bitcoin) work off of a decentralized system. This is helpful in several ways. First of all, it is incredibly secure and second of all it essentially eliminates the possibility of “double spending”. If you are not familiar with that term, it is a reference to the anomaly of spending a certain amount of money, later the centralized system still shows that amount in the account making the user believe there is money there that in reality is not. The consumer then spends (or attempts to spend) that money again, hence “double spending”. Cryptocurrency works off of a peer to peer network and everything runs through a blockchain. This means that every transaction is shared among all peers, thereby eliminating discrepancies.